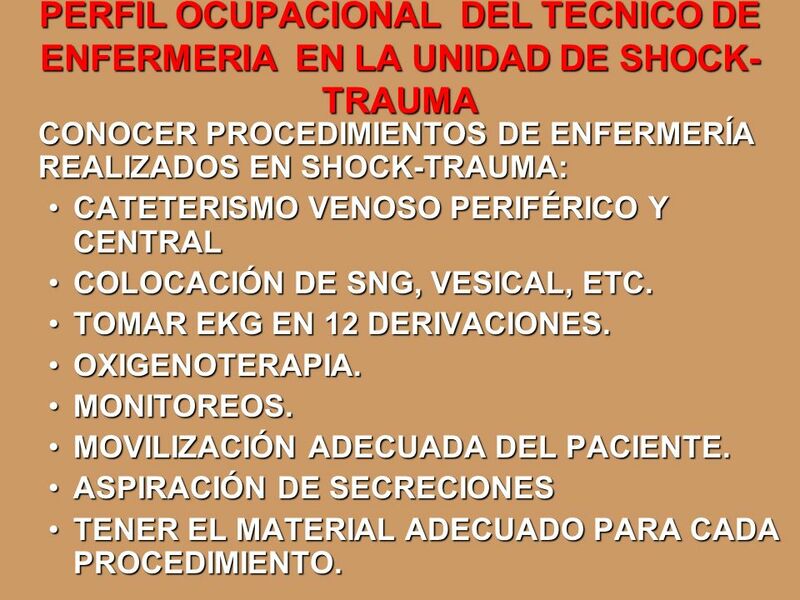 PERFIL OCUPACIONAL DEL TECNICO DE ENFERMERIA EN LA UNIDAD DE SHOCK-TRAUMA Lic. 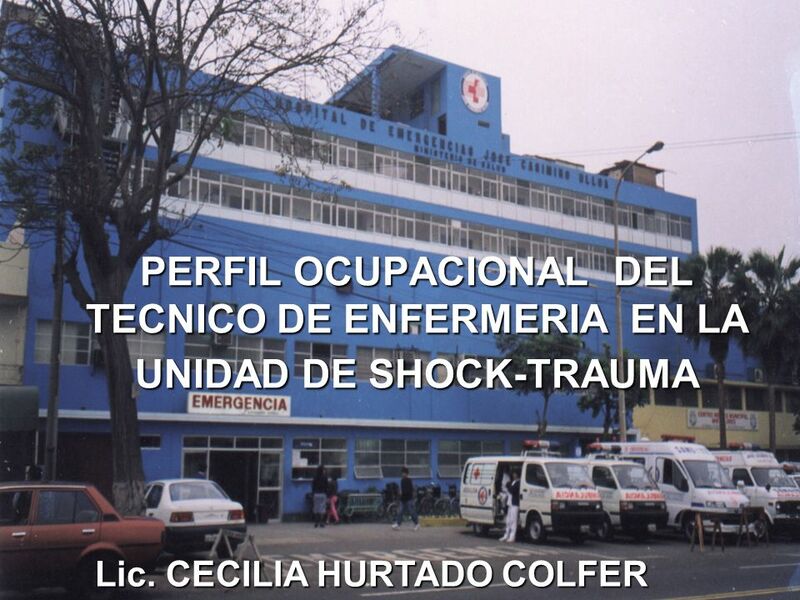 CECILIA HURTADO COLFER. 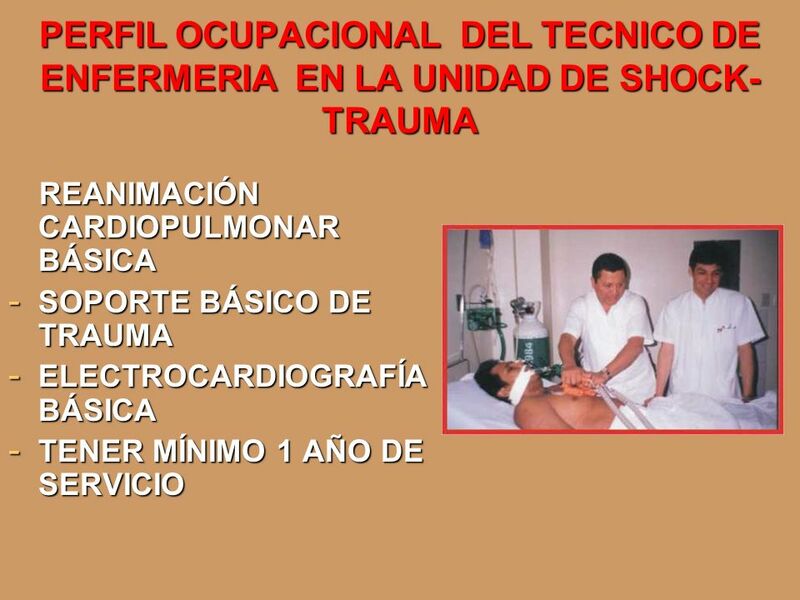 5 DEMANDA MASIVA CAPACITACION Y ENTRENAMIENTO. 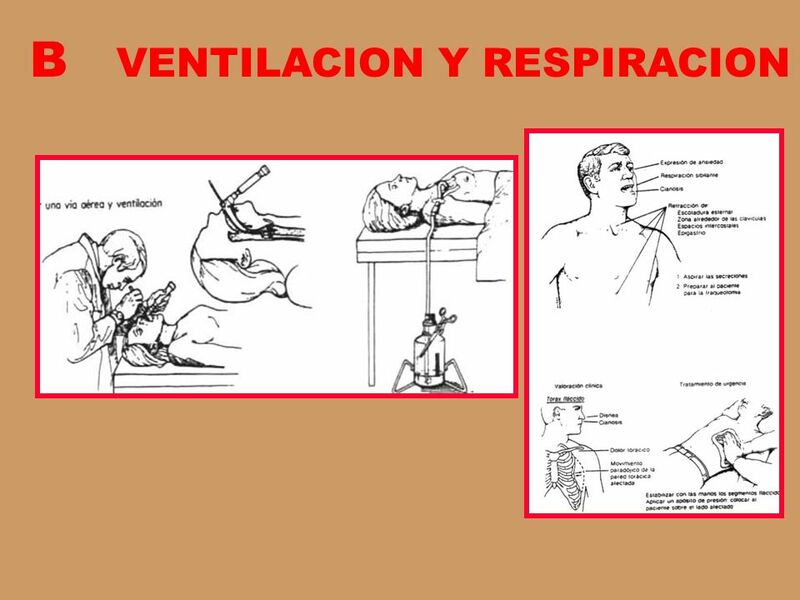 OBJETIVOS : OPTIMIZAR EL SISTEMA CARDIO RESPIRATORIO. 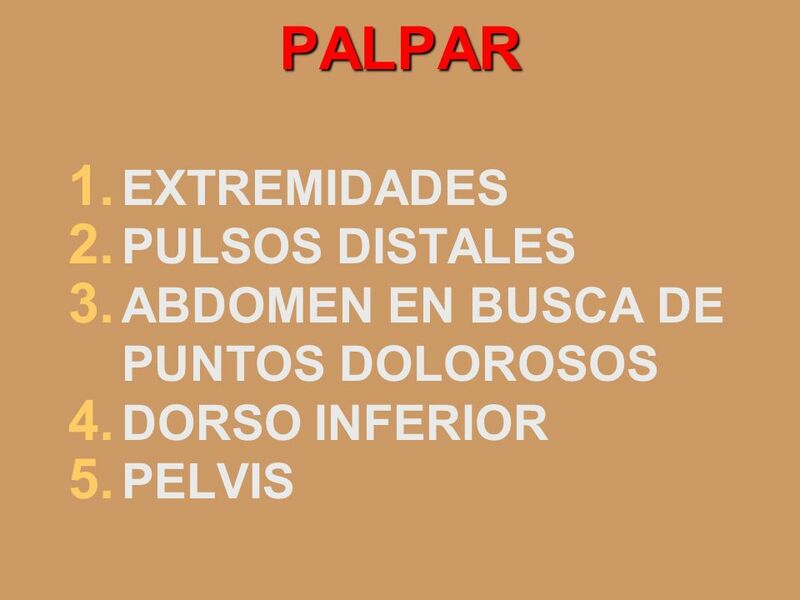 CORREGIR DEFICIENCIAS METABOLICAS. 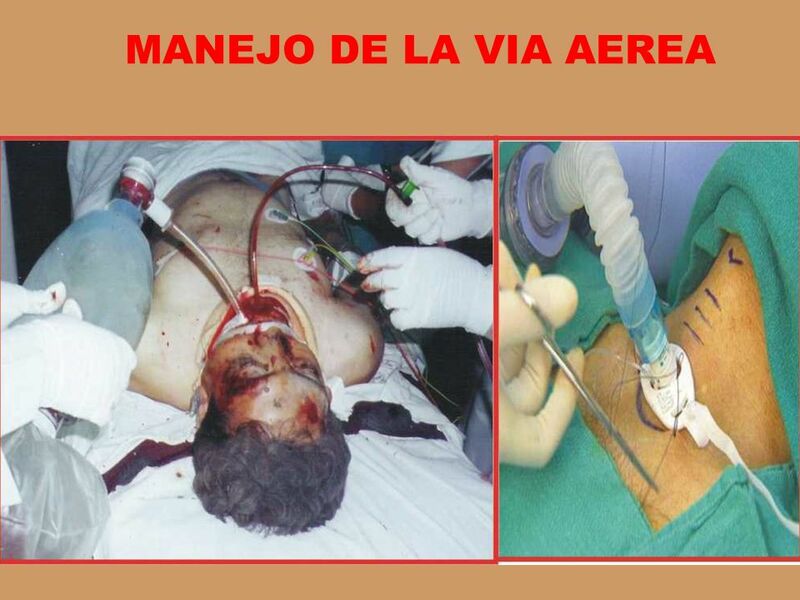 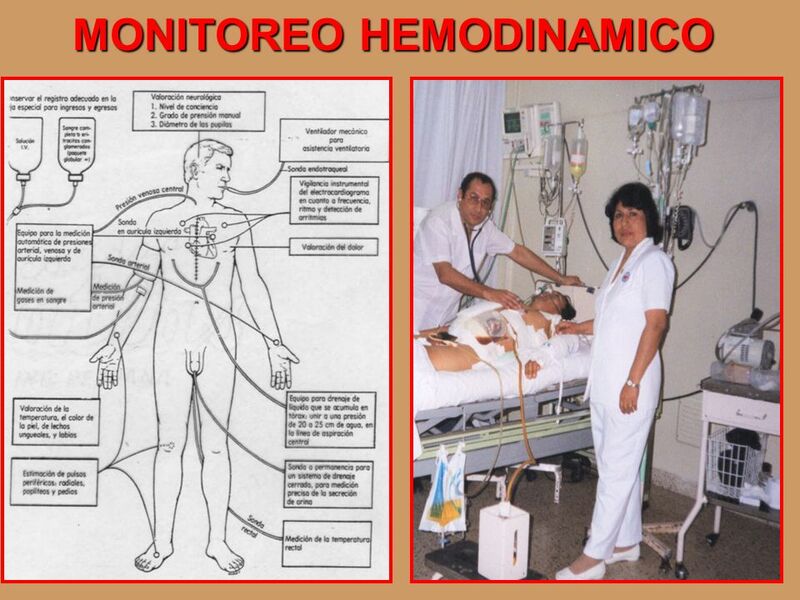 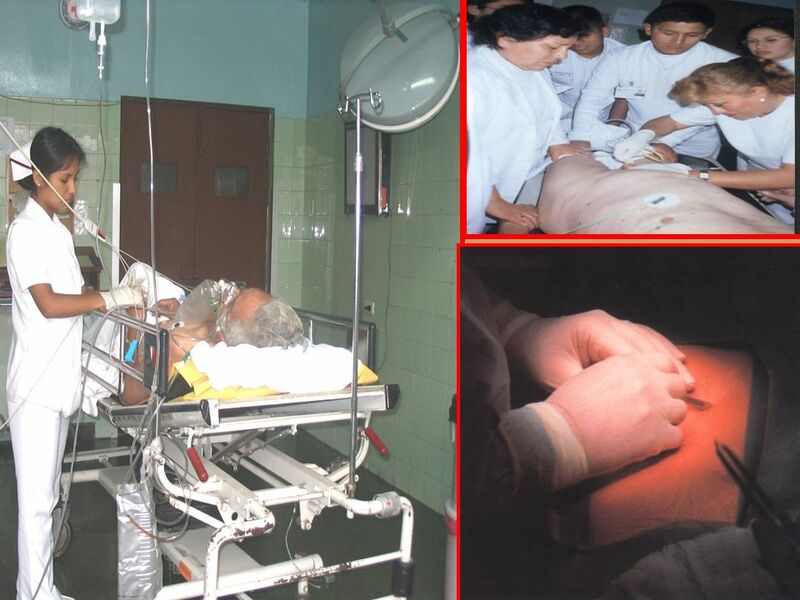 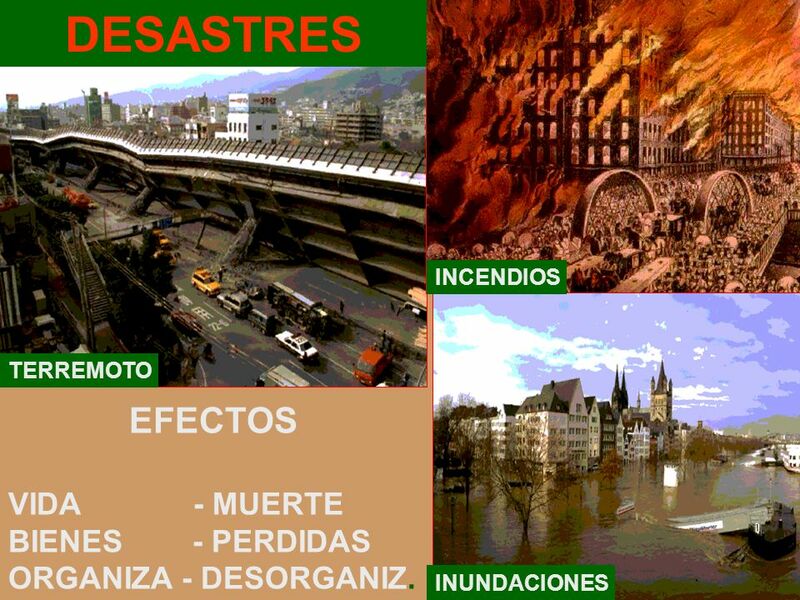 MEJORAR CONDICIONES HEMODINAMICAS PARA I.Q. 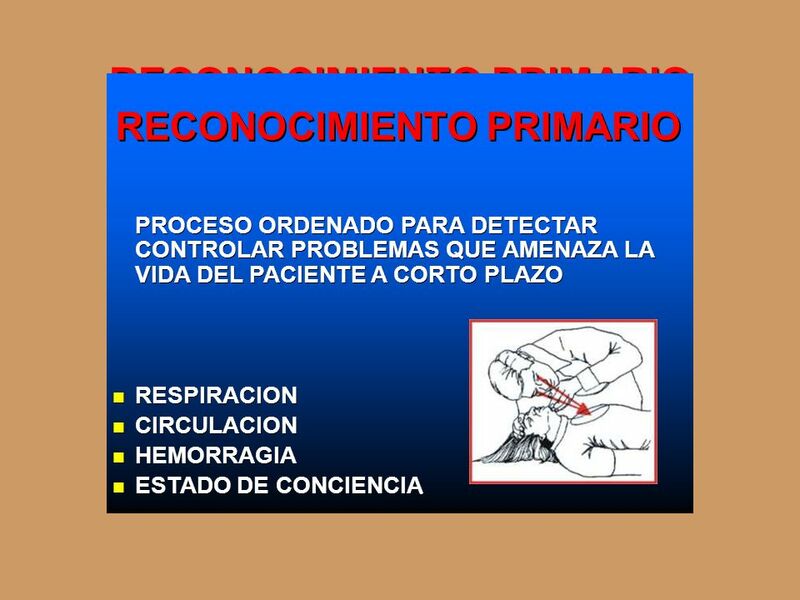 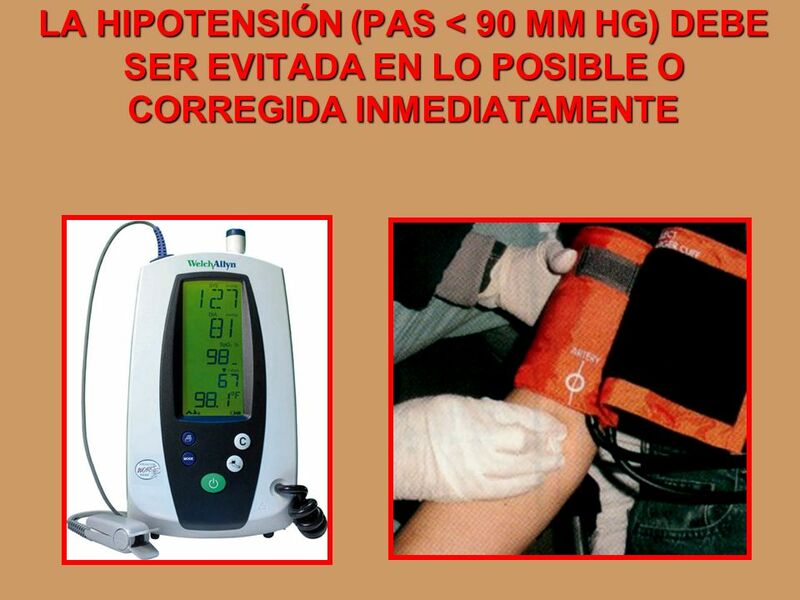 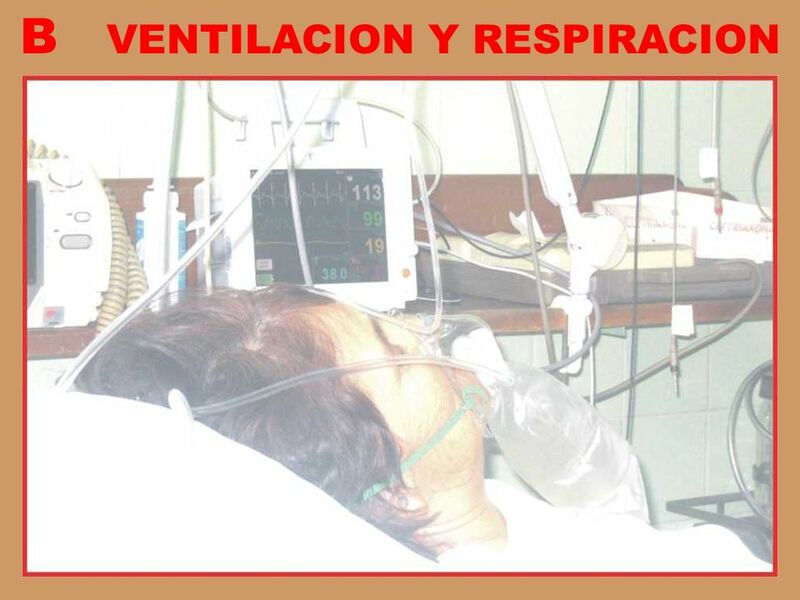 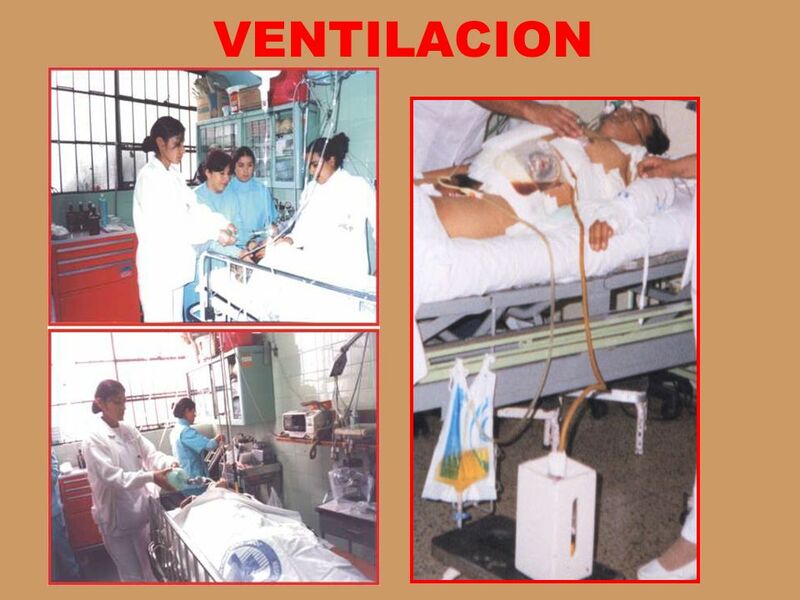 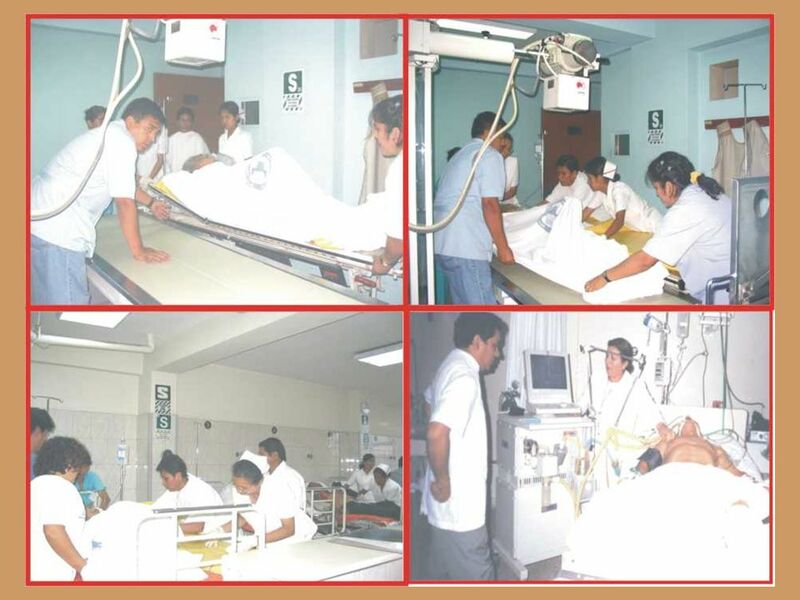 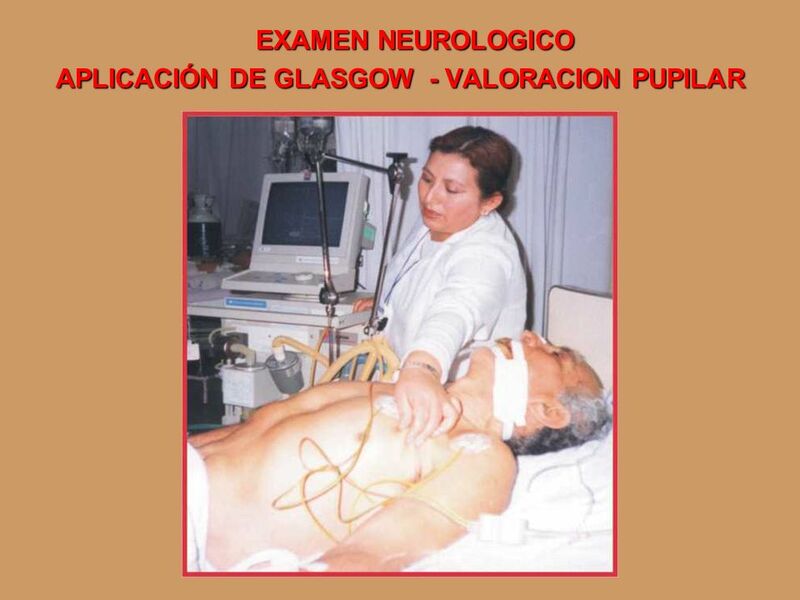 PROCESO ORDENADO PARA DETECTAR PROCESO ORDENADO PARA DETECTAR CONTROLAR PROBLEMAS QUE AMENAZA LA CONTROLAR PROBLEMAS QUE AMENAZA LA VIDA DEL PACIENTE A CORTO PLAZO VIDA DEL PACIENTE A CORTO PLAZO RESPIRACION n RESPIRACION n CIRCULACION CIRCULACION n n HEMORRAGIA HEMORRAGIA n n ESTADO DE CONCIENCIA ESTADO DE CONCIENCIA . 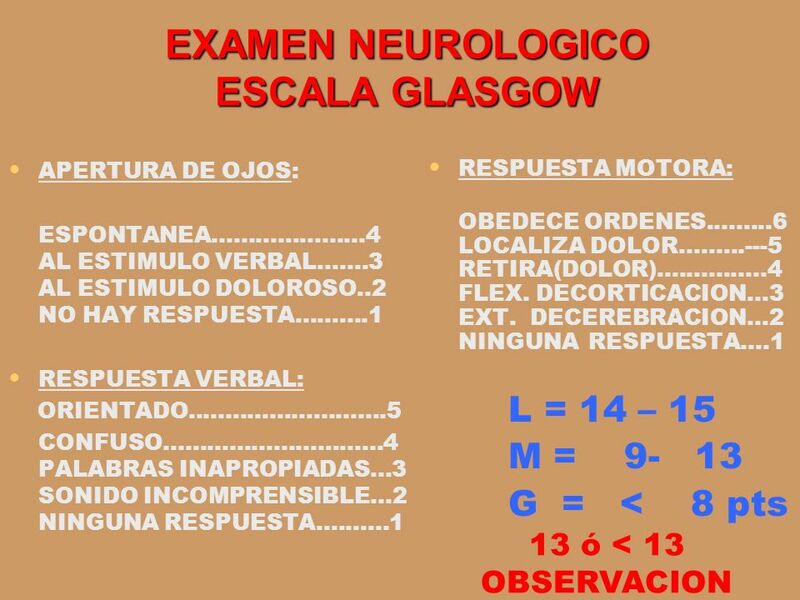 n n .
26 EVALUACION PUPILAR EL TAMAÑO Y LA REACTIVIDAD PUPILAR DEBEN EVALUARSE Y DOCUMENTARSE LOS CAMBIOS Y SU DURACIÓN . 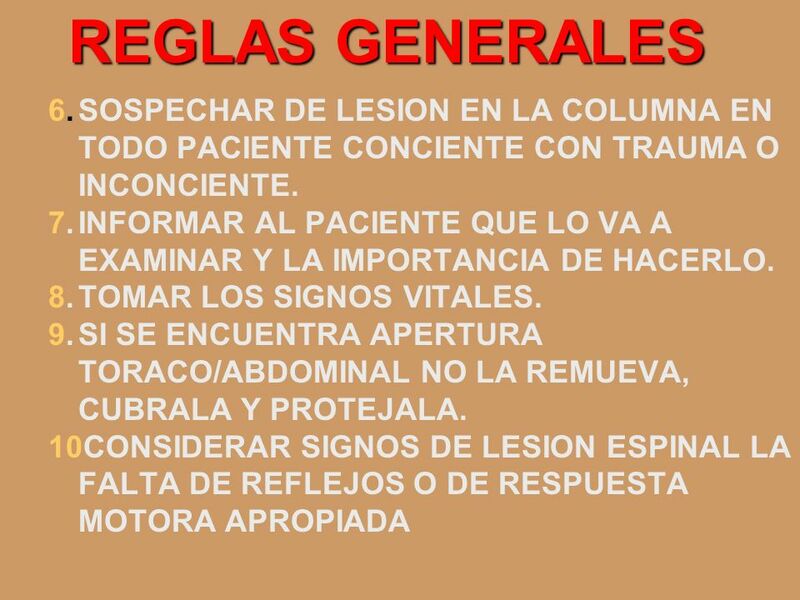 29 REGLAS GENERALES NO CAUSAR DAÑO. 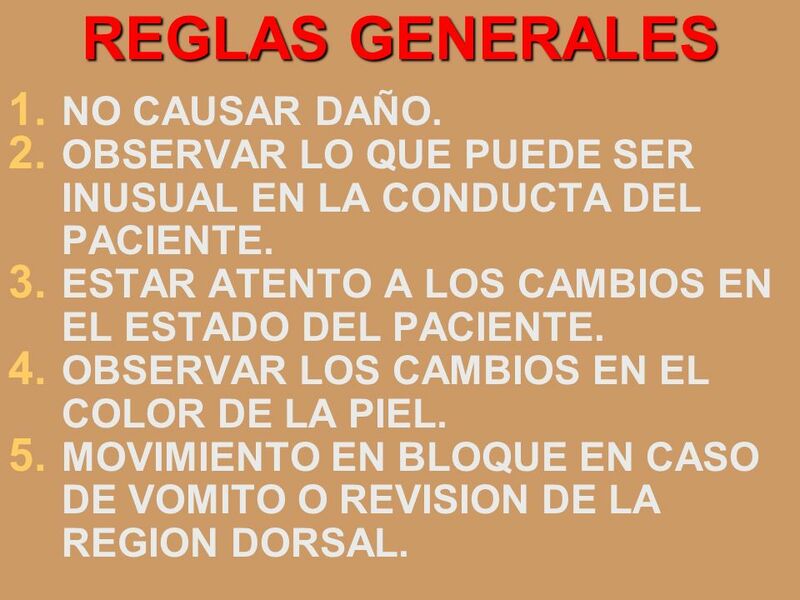 OBSERVAR LO QUE PUEDE SER INUSUAL EN LA CONDUCTA DEL PACIENTE. 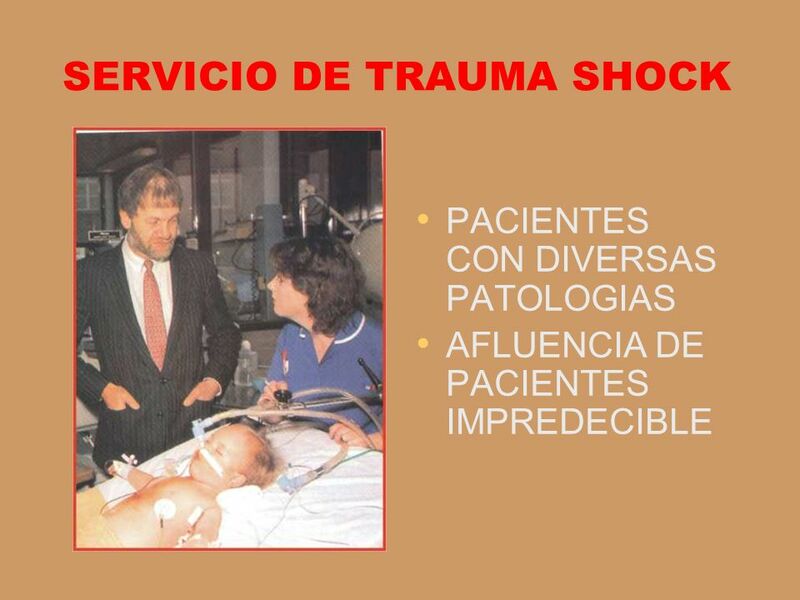 ESTAR ATENTO A LOS CAMBIOS EN EL ESTADO DEL PACIENTE. 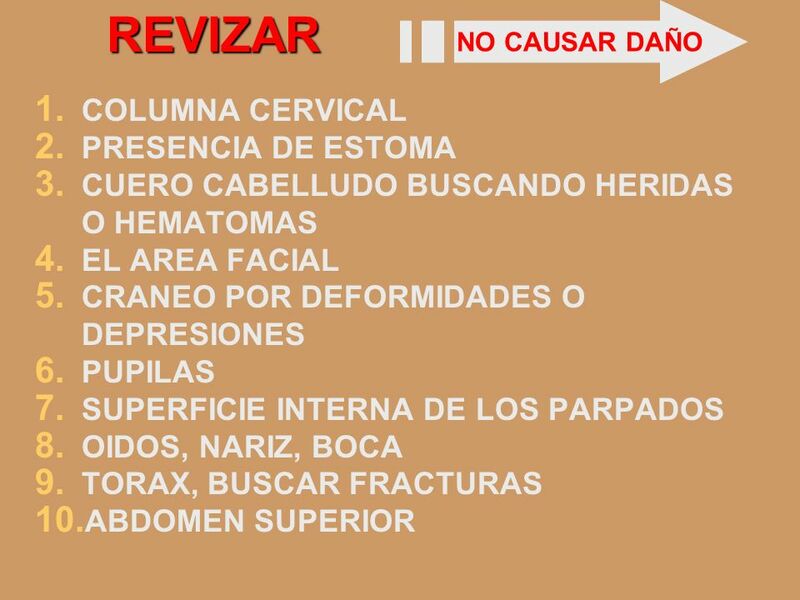 OBSERVAR LOS CAMBIOS EN EL COLOR DE LA PIEL. 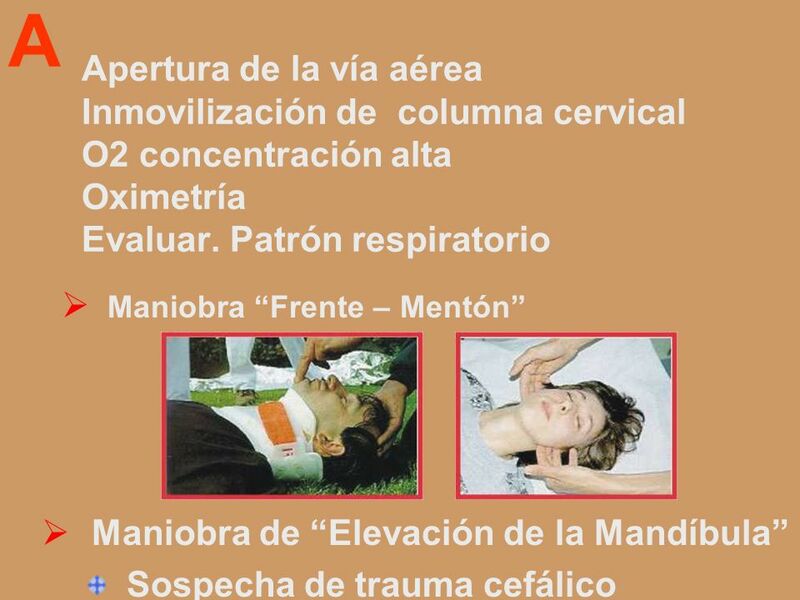 MOVIMIENTO EN BLOQUE EN CASO DE VOMITO O REVISION DE LA REGION DORSAL. 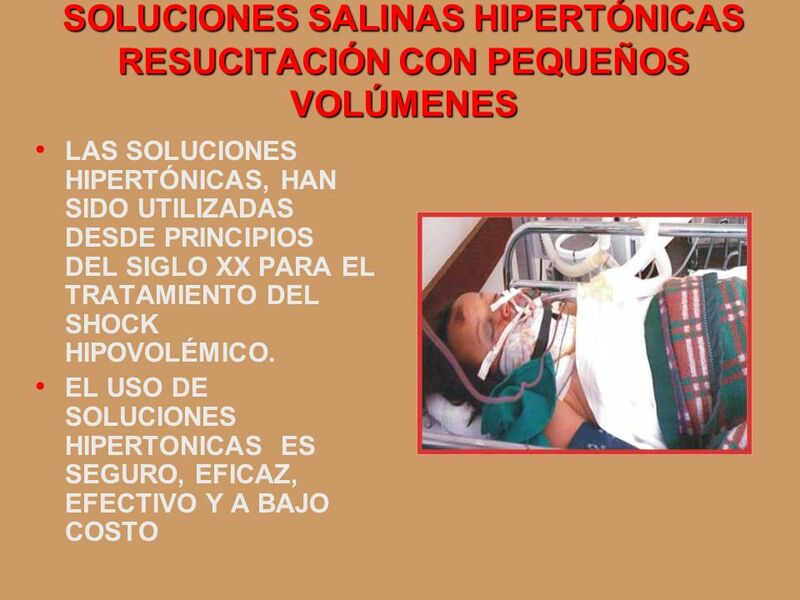 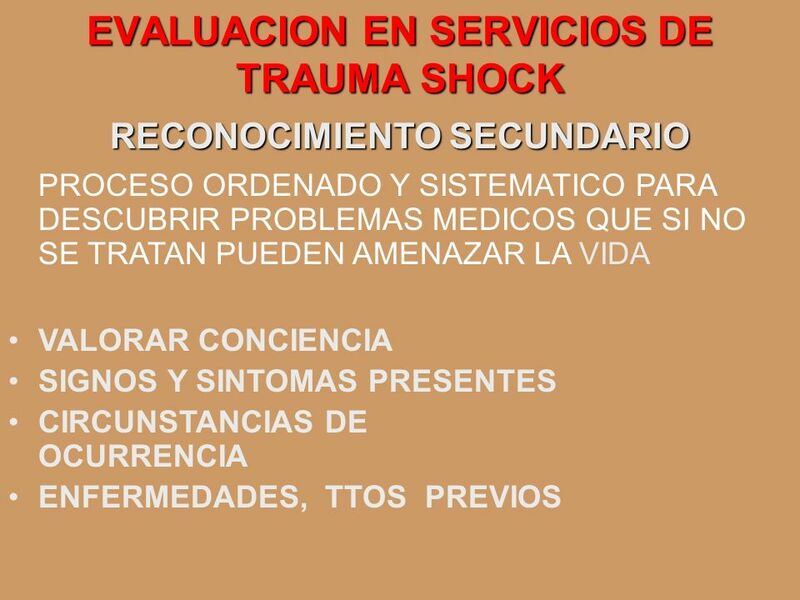 CONOCER PROCEDIMIENTOS DE ENFERMERÍA REALIZADOS EN SHOCK-TRAUMA: CATETERISMO VENOSO PERIFÉRICO Y CENTRAL COLOCACIÓN DE SNG, VESICAL, ETC. 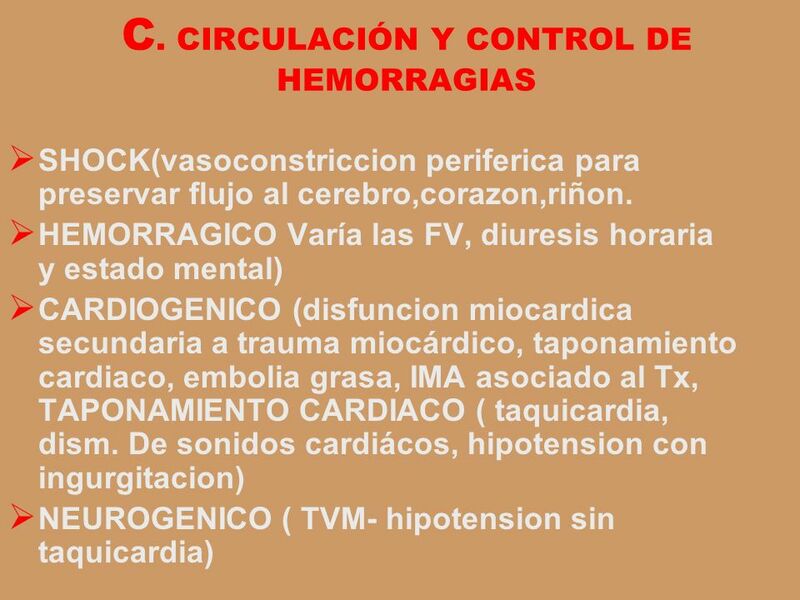 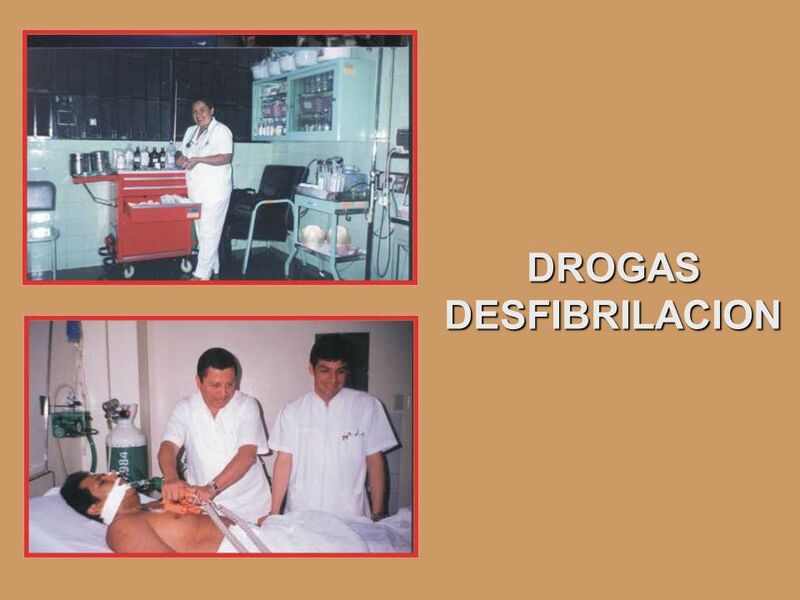 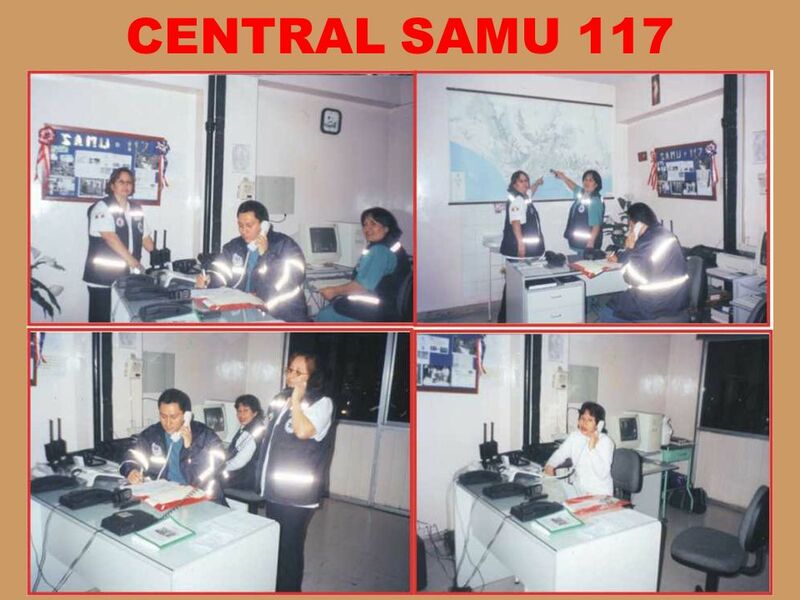 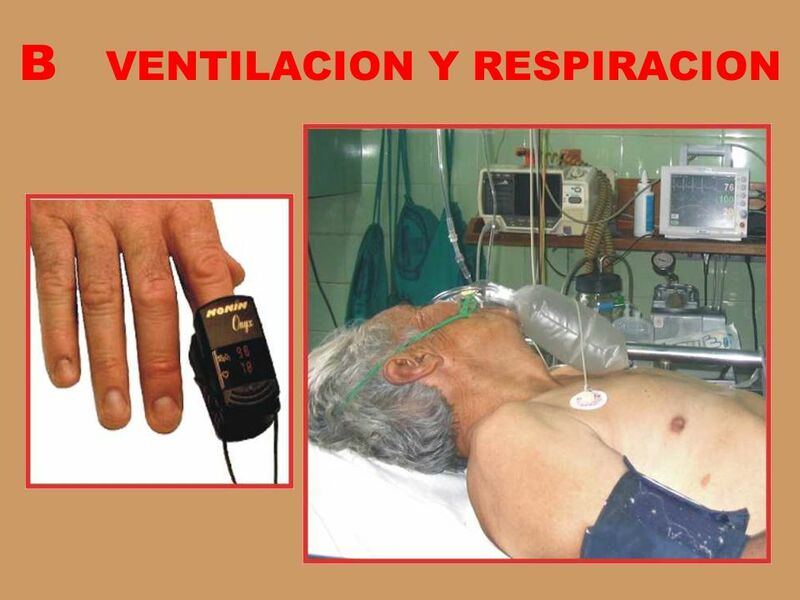 TOMAR EKG EN 12 DERIVACIONES. 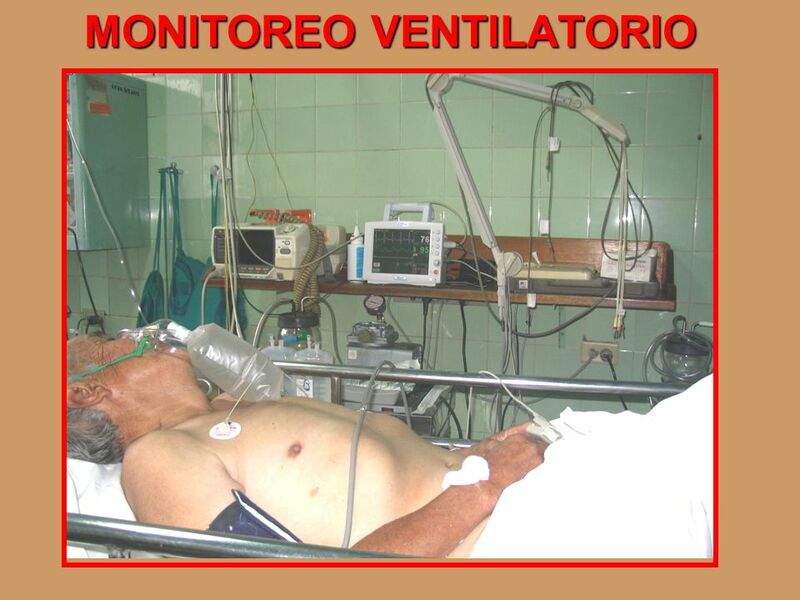 OXIGENOTERAPIA. 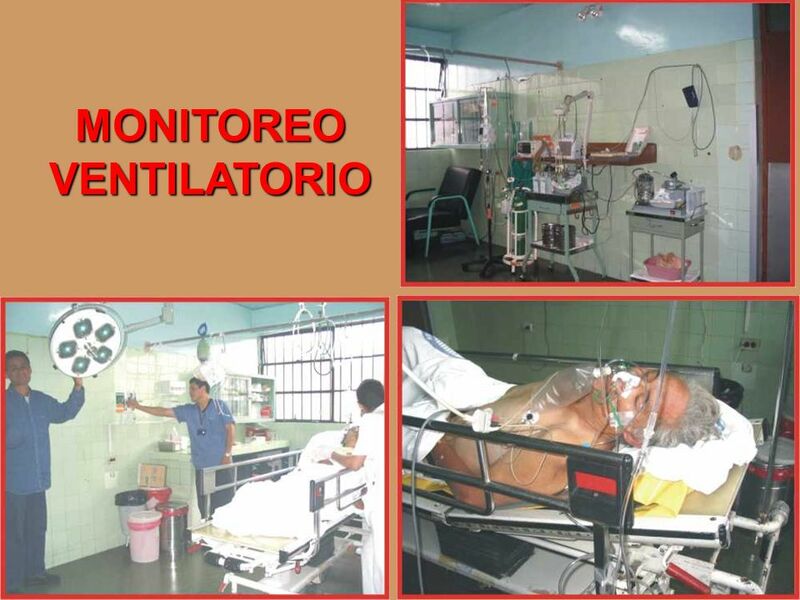 MONITOREOS. 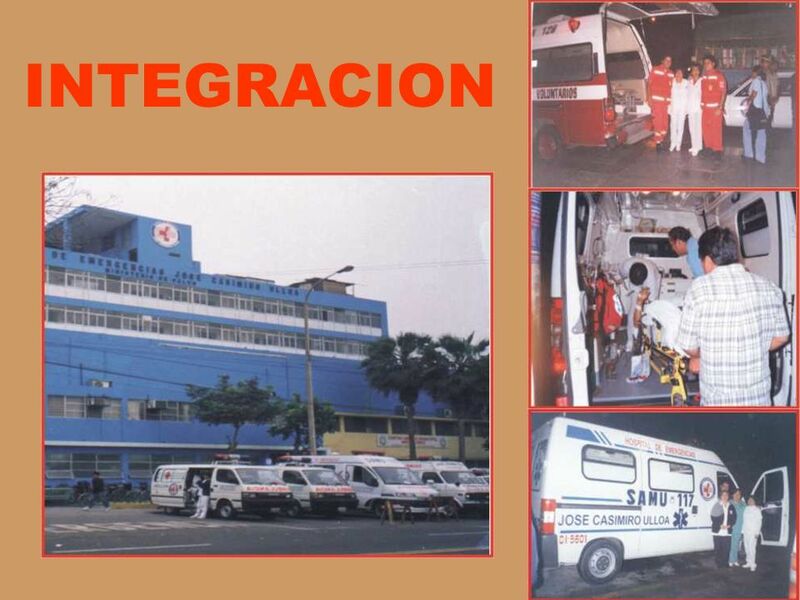 MOVILIZACIÓN ADECUADA DEL PACIENTE. 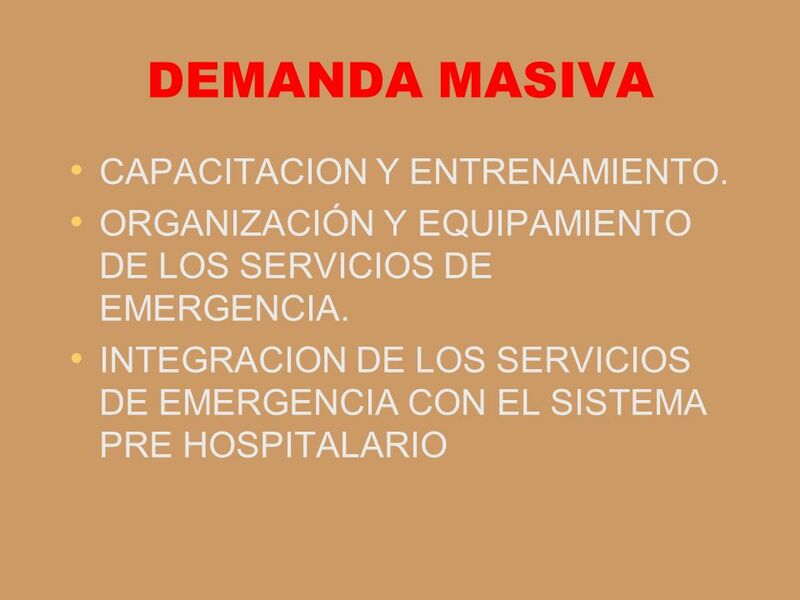 ASPIRACIÓN DE SECRECIONES TENER EL MATERIAL ADECUADO PARA CADA PROCEDIMIENTO. 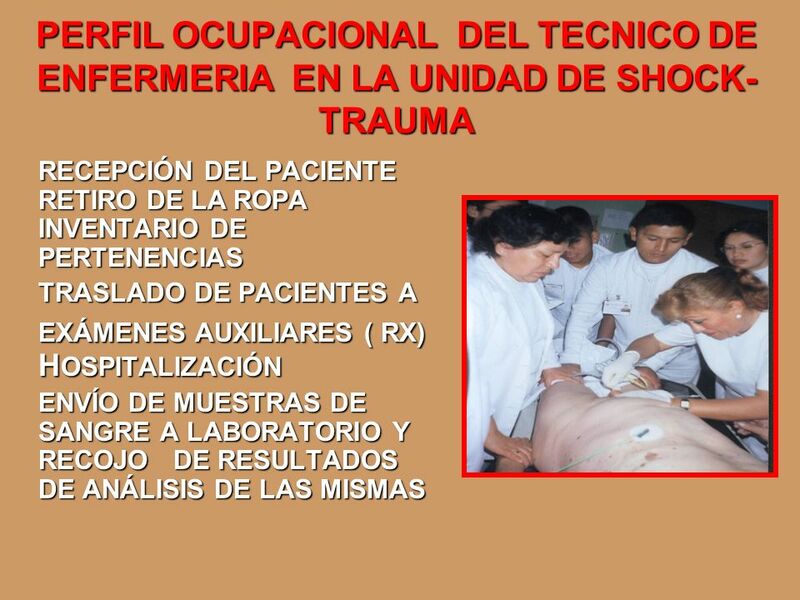 49 COMPETENTE. 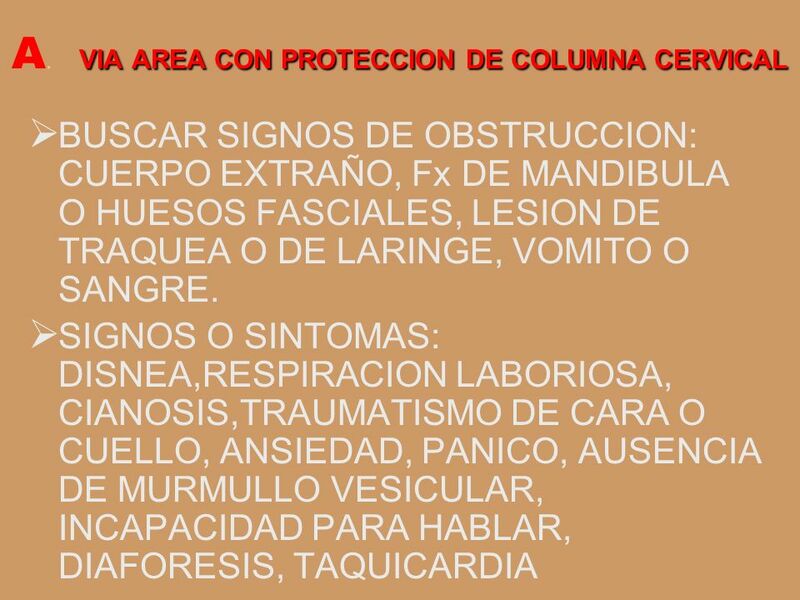 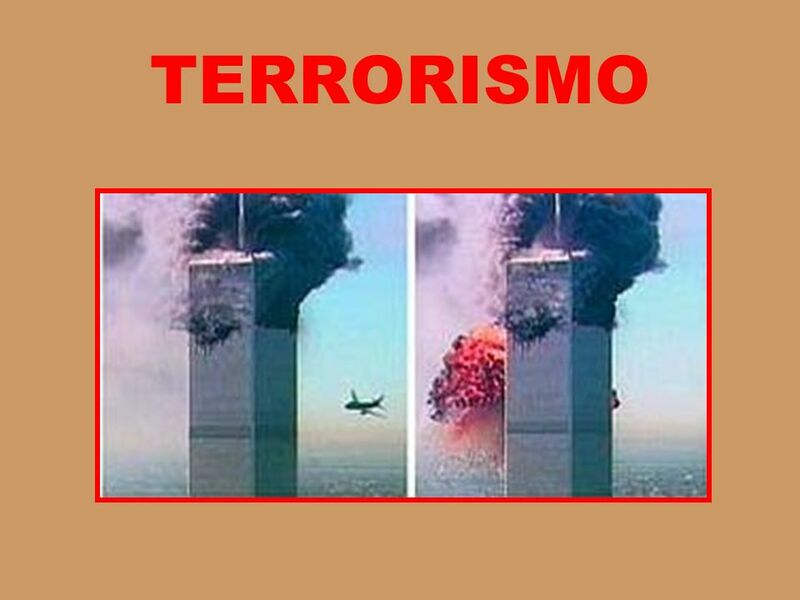 HABIL, SEGURO Y SERENO. 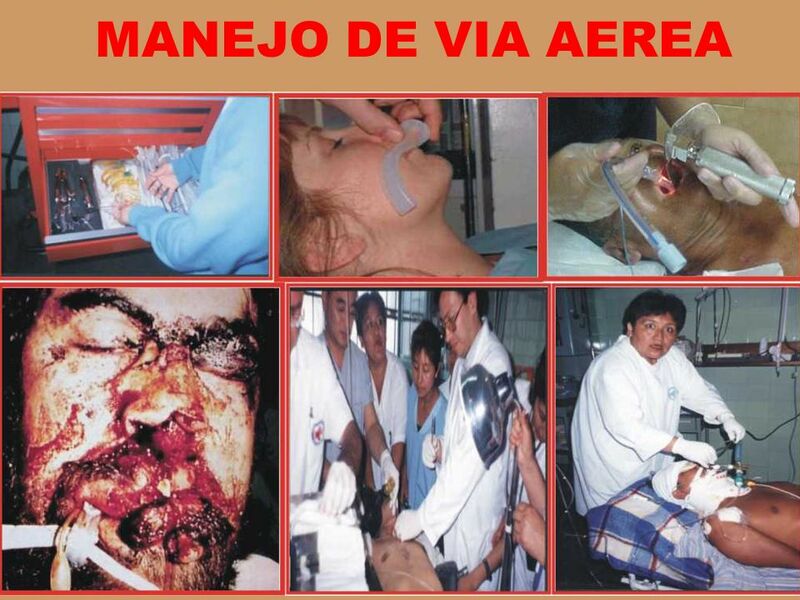 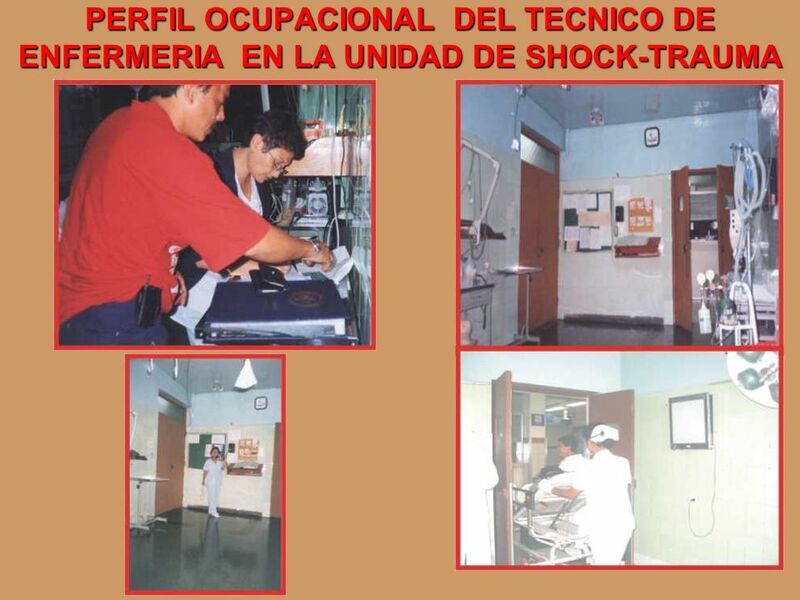 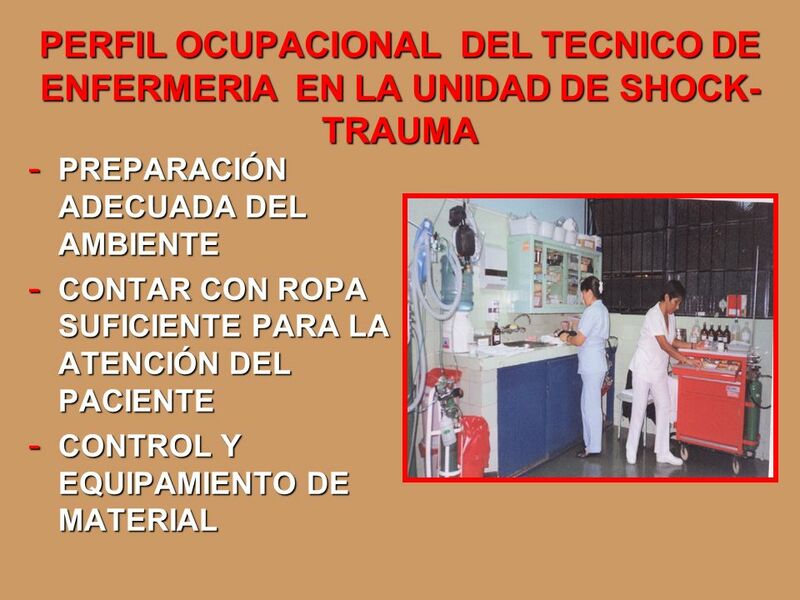 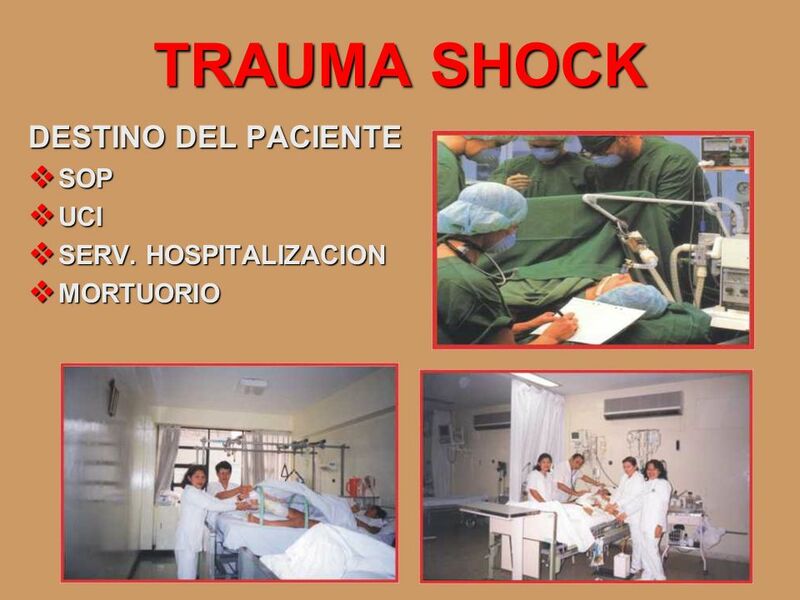 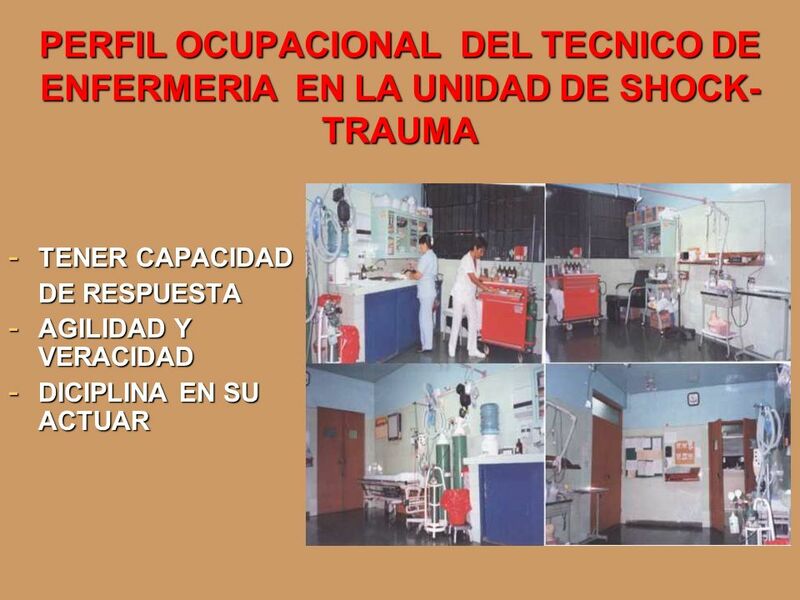 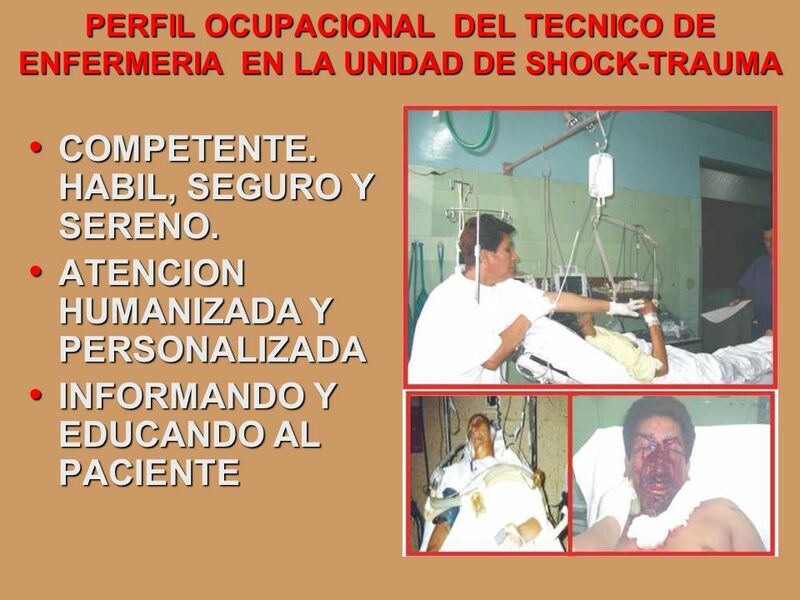 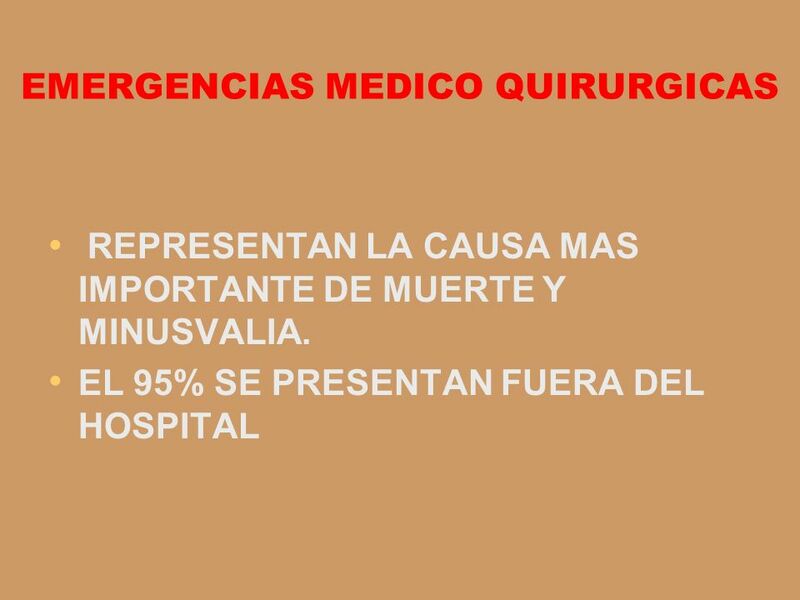 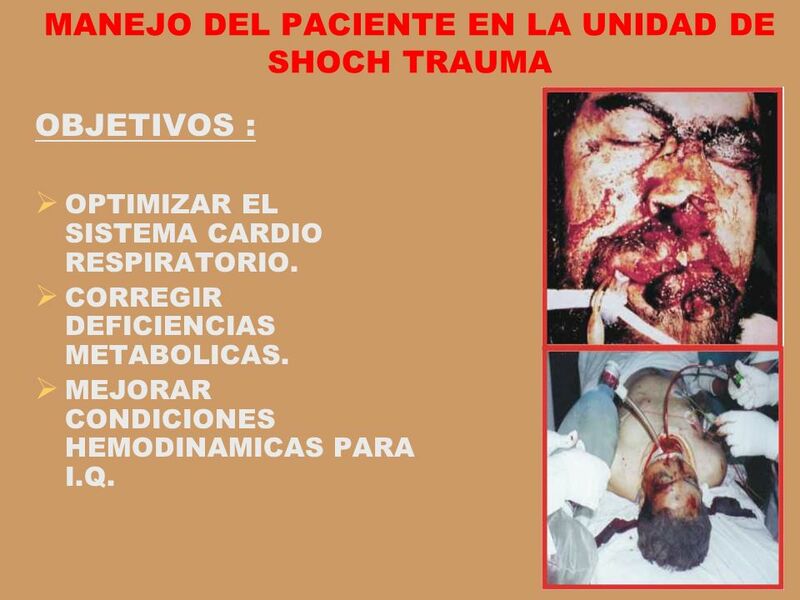 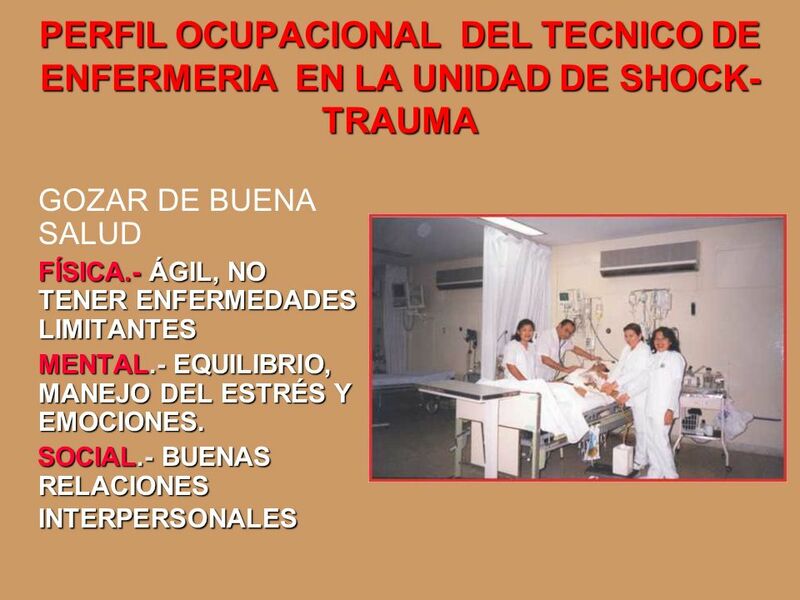 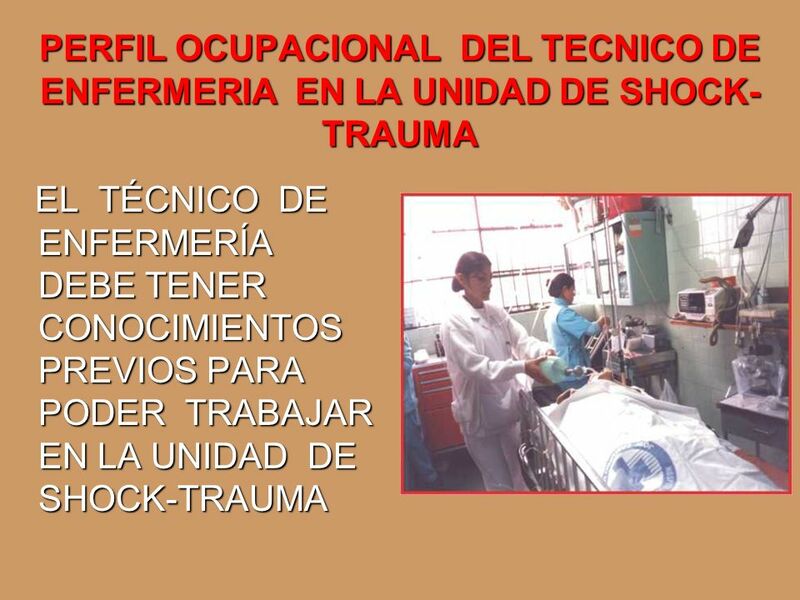 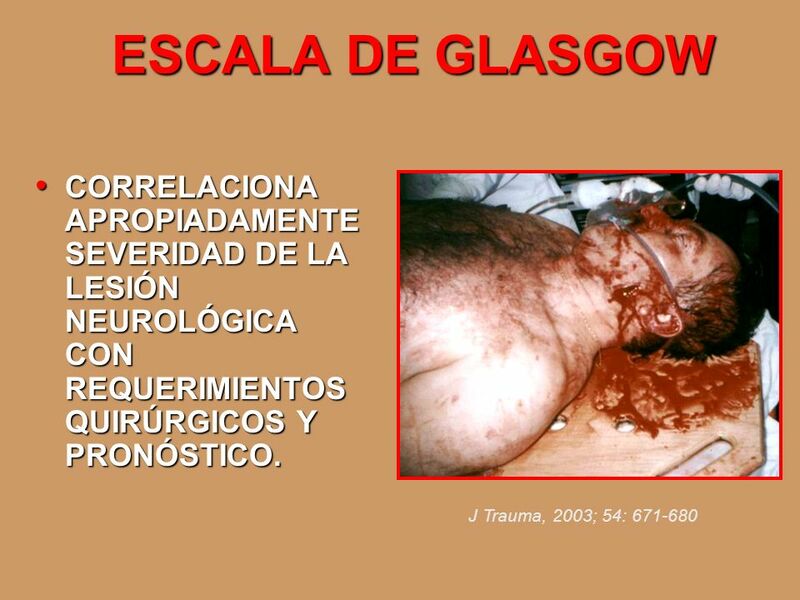 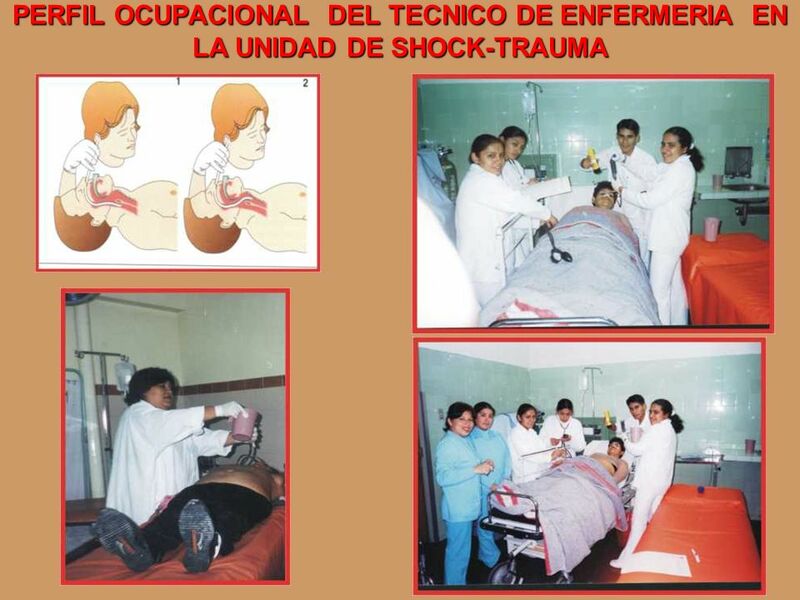 Descargar ppt "PERFIL OCUPACIONAL DEL TECNICO DE ENFERMERIA EN LA UNIDAD DE SHOCK-TRAUMA Lic. 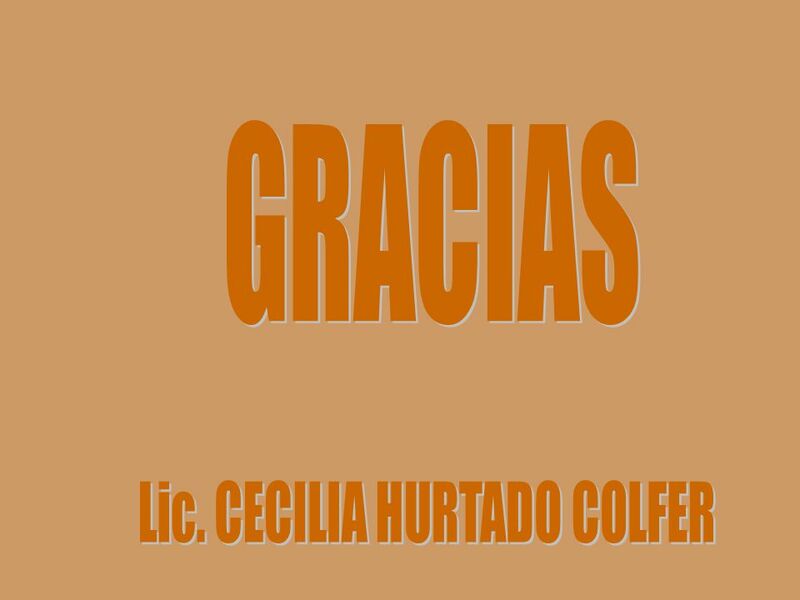 CECILIA HURTADO COLFER."